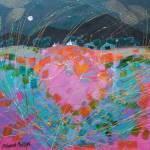 Deborah Phillips: concentrates on her ‘Jaunty Juicy Landscapes’ for which she has become renowned. 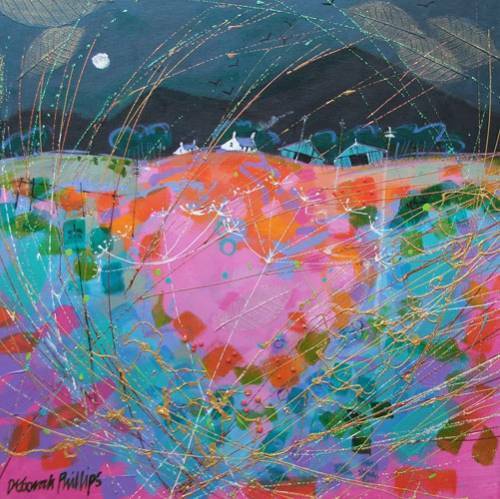 Deborah Phillips was born in Dundee, the daughter of well known Scottish artist, Douglas Phillips. It soon became apparent that she would follow in her fathers footsteps. 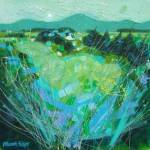 She attended Duncan of Jordanstone College of Art, Dundee and graduated with BA (honours) in 1987. Following graduation she took up the post of Merchandise Designer with the National Trust for Scotland and a similar post with Historic Scotland followed. Her design work has been featured in several leading womens magazines and her paintings featured in International Artist, Artists and Illustrators, Picture Business and Art Business Today to name but a few. 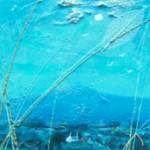 She also worked with an international art and craft materials company demonstrating products at leading art fairs. Deborah says, " I enjoy all aspects of creating a painting, from going out into the the stunning Scottish countryside to collect reference material, priming the board on which I will paint, squeezing paint from the tubes and watching it glisten on the palette,holding the well-used brushes, mixing the squelchy colour and applying it in swathes, varnishing, framing and then seeing the finished article on a gallery wall - every stage gives me a thrill."